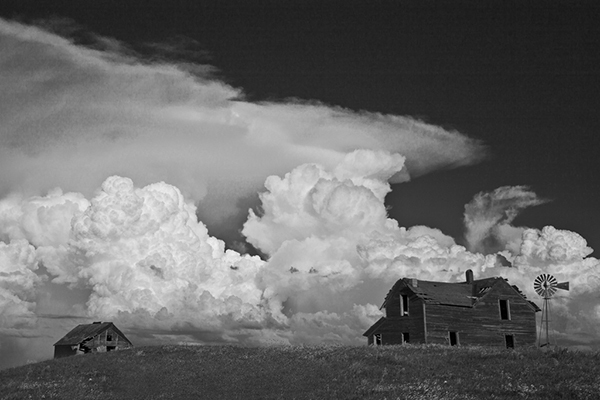 An immense storm structure rolls in across the plains. A wall of swirling rain and wind, hundreds of feet high, engulfs everything in its path. 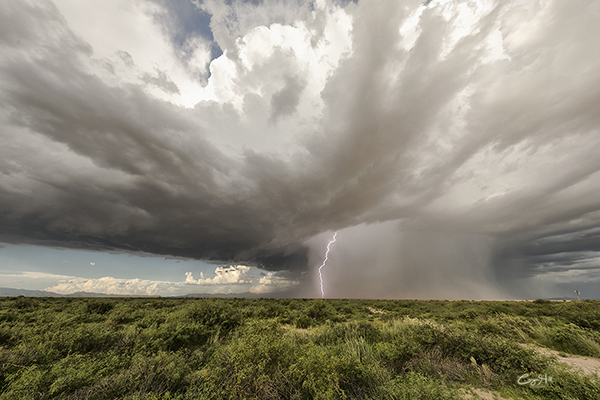 It blocks out all light, except for the dramatic cracks of lightning that rip down to the earth’s surface. This is nature at its most ferocious and awe-inspiring, and photographer, Caryn Hill, can’t think of any other place she’d rather be. Our readers have likely seen Caryn photographing at horse shows for the Colorado Quarter Horse Association, at the AQHA Region 8 Show in Amarillo, or the Zone 3/YDF APHA show. What you probably didn’t know is that Caryn and her husband run a storm chasing company- providing tours for adventurous folks who enjoy tracking super cell structures, monsoon lightning, and tornados. 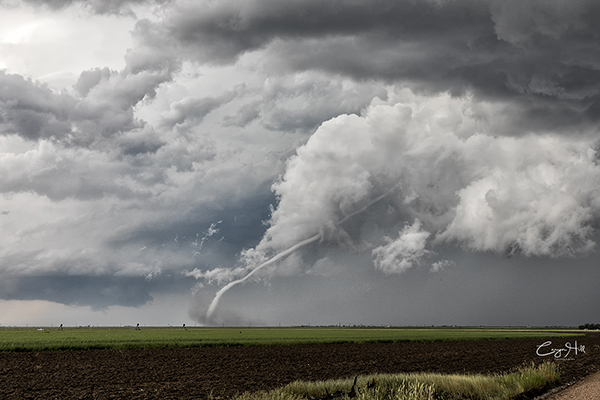 In addition to photographing at horse shows, Caryn helps run Silver Lining Tours and Southwest Photography Tours with her husband, Roger Hill, who actually holds a Guinness World Book Record for the person who has witnessed and documented the most tornados. The count is currently at 700. “I have a long way to catch up, as I’m only at 272 tornados,” Caryn says. Caryn and Roger offer tours for both photographers and non-photographers. She directs and guides the photography tours, while Roger directs the regular storm chasing tours. 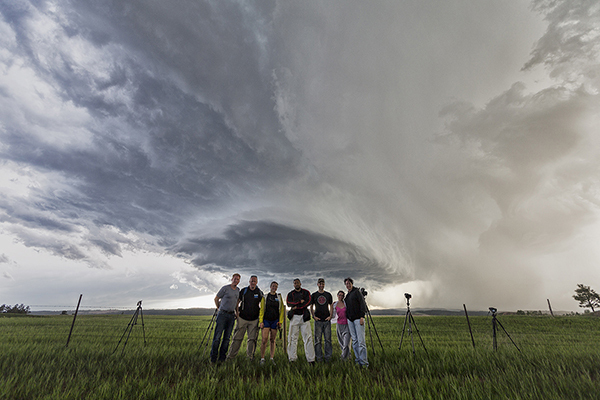 A typical storm chasing tour can run anywhere from one day with an “on call” tour to five to ten days. 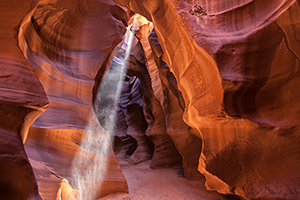 The photography tours typically last six to seven days. Each tour begins the evening prior to the first day of action with an important orientation to review safety protocol. 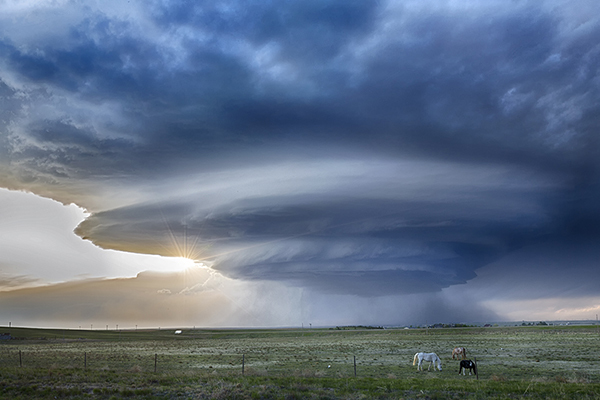 Sydney, Nebraska horses in front of a supercell. The same goes for storms that produce lightning and hail. If Caryn and Roger sense they’ve gotten too close, they are the first to pack up and leave to ensure the safety of their party. However, Caryn recalls one experience, near the site of Custer’s Last Stand in Montana, where a few curious onlookers resulted in a packed road that caused some trouble for the team. 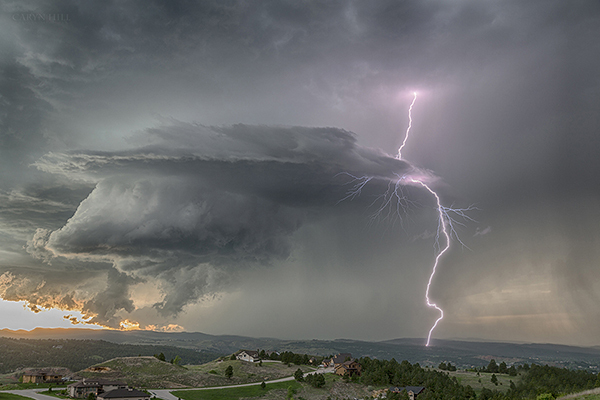 Caryn’s favorite weather phenomenon to photograph are dramatic lightning and immense storm structures. 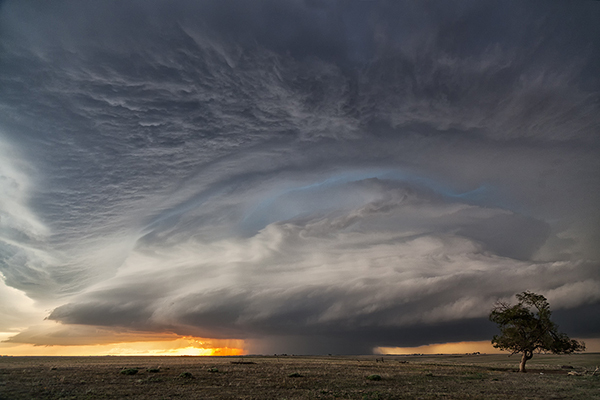 In order to capture the grand scale of these storms, she shoots with a Canon 5D Mark IV with a 24-105 mm and 11-24 mm lens. She also relies on a Glitzo tripod and Really Right Stuff ballhead to keep her equipment grounded during extreme wind.